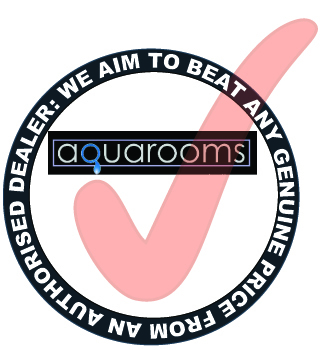 ,My name is Grant Bliben the owner of Aquarooms and for over 32 years I have been involved in the bathroom industry. Many things have changed in that time except for the need of quality materials and true craftsmanship. Now I’m providing this information to you. It is my goal to provide a comprehensive bathroom guide that will take you through the entire process from start to finish and answer all questions. Plus help everyone achieve the best possible results. Are you frustrated or confused by your bathroom project? I have seen many projects go wrong. Then the homeowner calls me to fix the mess. This doesn’t need to happen. Learn all the tricks and tips from start to finish. Do it right the first time and have many years to enjoy your new Batrhroom. Once the decision has been made to renew your Bathroom, the real work begins and there are a number of factors you should address very early on. There are decisions to be made and these decisions will not only determine the cost of the project, but will have a direct impact on the success of the final result. It is crucial that you spend time addressing theses issues prior to the work starting as planning is the key. • Are you keeping the same configuration of the bathroom as the existing layout? • What do you like most about your current bathroom? • What do you dislike most about your current bathroom? • Are there currently enough bathrooms in the house for your family, as it expands for children,teens or live-in relatives? • What will the bathroom be used for? • Who will be the primary users of the bathroom (adults, children, guests)? • How many people will be using the bathroom at one time? • What features would make the bathroom more comfortable? • Are there enough basins and counter space available? bathing and/or vanity areas that are required? • Bath or Shower Enclosure or both? • If it is a shower, do you want a Arcylic resin shower tray or tiled. • Do you prefer to take showers or baths? • What type of storage will you need in the new bathroom? • Do you prefer mirrored cabinet storage over vanity storage? toilet paper, soap, cleaning supplies? • Do you need additional lighting over a shower or bath? • Do you want lighting around the vanity? • Wall mounted or recessed lighting ? • Do you want shaver sockets? • Installing or replacing extractor fan? • Paint, wallpaper, tile or a combination? • If there is a window, is it ideally situated does it need to replaced? • Are you going to be replacing the bathroom door? • Tile selection • Stone, Marble Tile, Tile that is ceramic or porcelain, other? • Same tile for the floor and walls & shower enclosure? • Any decorative tile additions? • Any recessed shelving ? • White or a special colour?